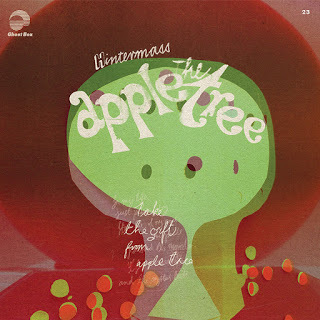 The new album by Hintermass, The Apple Tree is due for release on 18th March and Pre-orders open today in the Ghost Box shop . Its the first LP from Hintermass following their Study Series single for Ghost Box in 2011. The duo comprises Jon Brooks (The Advisory Circle) and Tim Felton (of Seeland and formerly Broadcast) who come together with an elegantly crafted pastoral pop album. Brooks beautiful production complements Felton’s rich vocal perfectly. Catchy songs with electronic and folk sensibilities are balanced by expertly handled abstract sketches and instrumental pieces. Both artists cite the kosmiche music of Ash-ra and Popul Vuh and their simultaneous re-discovery of the music of Nico as strong influences on the album. The songs also have clear roots in both traditional and psychedelic folk. 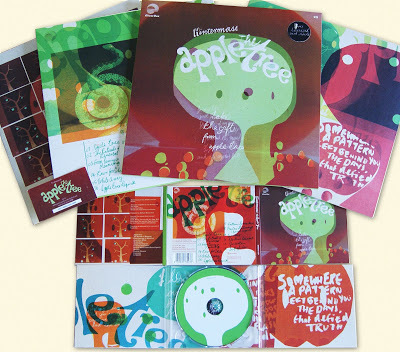 Emotionally engaging and nostalgically transportive, ‘The Apple Tree’s golden-hued scenes and sketches should set you up nicely for the returning spring… a bittersweet paean to the half-remembered high summer tryst under the fruit trees that you never had. Pre-order now and available 18th March on CD or heavyweight vinyl in beautifully illustrated and tactile packaging and also on all download and audio streaming services. The vinyl version comes with a free download card inside.